Nepalis, especially the younger generation, now freely admit that they wouldn’t mind a more convenient and compact way to mourn their loss. The debate about the last rite rituals seem poised to rage on. As the director of Kathmandu’s Nepal Purohit Sangh, Pitambar Pandey was doing his best to explain that “the funeral pyre isn’t a place to stage a battle of ideologies.” In Pandey’s opinion, this was obvious. When a family requests him to perform their loved one’s last rites, he wished to abide by the Hindu traditions so that, as per the religion’s belief, the departed soul will find peace in their karmic journey. But in the last two years, to his bewilderment, he and other like-minded priests have been increasingly hearing objections on the matter. And to top it off, the opposition is none other than the deceased’s family itself. For instance, at the Kriya Putri Sewa Kendra at the Pashupati premises, Bibek Rayamajhi*, who is about to finish his mother’s 13 day ritual, confesses that the funeral has been financially taxing for him. Especially what with the priests setting specific amount of dakshinas throughout the long ritual these days and not settling for anything less than their demands, he reveals that he has already decided to opt for the shorter version of the death rituals in the future. This may not have been an option that Nepalis could entertain before, but of late, like Rajbhandari, people have been citing various reasons ranging from time constraints, logistical inconveniences to health risks to justify their decisions. What’s more, with the help of some lenient priests, some have been getting their way as well. However, priests and other authorities by the cremation site tend to vehemently deny the availability of such new modifications to the death rites rituals on record. 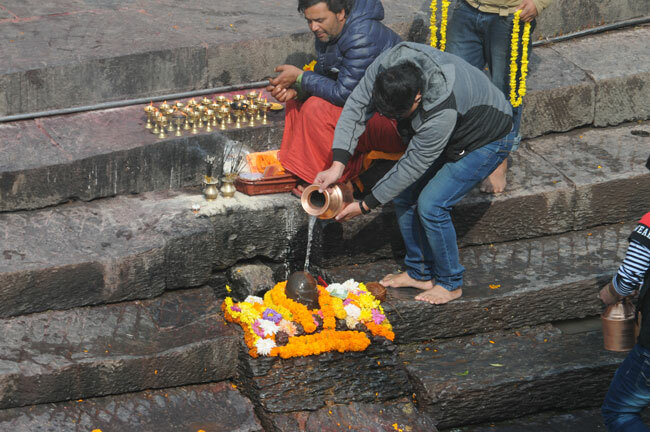 News of such instances has spread to the Pashupati markets and beyond. Shopkeepers acknowledge that they have heard of many Nepali expats who usually finish their family member’s death rituals in three days. Mourners who have used facilities like the Kriya Putri Sewa Kendra also share that they were offered the choices of shortening their ceremony as well. What’s interesting is that the option is gradually gaining some traction among the public. Nepalis, especially the younger generation, now freely admit that they wouldn’t mind a more convenient and compact way to mourn their loss. Such is the rising approvable for the change that Pandey is currently trying to gather all members of the Dharma Sabha, Panchayat Samiti as well as the Jotis Samuha to address the issue. He doesn’t want to alienate his patrons or the younger generation and does wonder if it would be appropriate to call for a change. According to Pandey, the meeting is being held to see if there really is a way to shorten the rituals in a righteous way as per the religious texts. This gathering is set to bring some strong opinions especially since it’s apparent that the majority of the priests are against the idea. Biswas Nath Dhital, who has been a priest since he was 15, shares that he isn’t oblivious to the proposed altercations of the death rituals. Hindu religion’s history discloses that people initially used to mourn the death of their family members for 13 years. The barkhi used to be observed for 12 years whereas the kriya was carried out throughout the year. Dhital agrees with the impractical nature of this task which is why he believes sages of the time while writing the religious text shortened the death ritual to a feasible 13 days. 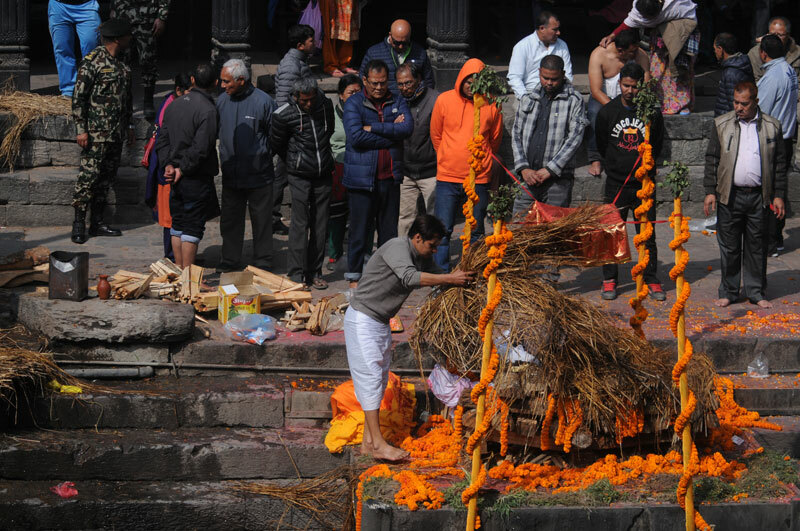 Guru Prasad Regmi, who has been a priest for more than 25 years, also says that he had heard the same narrative and that even though he has seen the various ceremonial customs modified throughout the year, this is one that can’t be altered. He also insists all the priests in his circle are in agreement on this matter. “The sastra is our constitution. We don’t have the right to carelessly elongate or shorten the rituals that have been carried on from prehistoric times. It was back in the Satya Yug that they reduced the death rituals to 13 days. 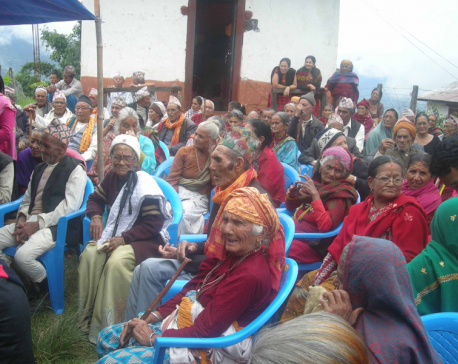 I don’t see anybody who is capable enough to do that now,” says Regmi. He also adds that those keen on shortening the ritual might as well not carry it out in the first place. According to him, all the meaning of the last rites for the deceased as well as the responsibilities of the living will be lost, if the ceremony were to be altered in any way. They are also very sure that the upcoming discussion being organized by Pandey will probably also be against any kind of change. 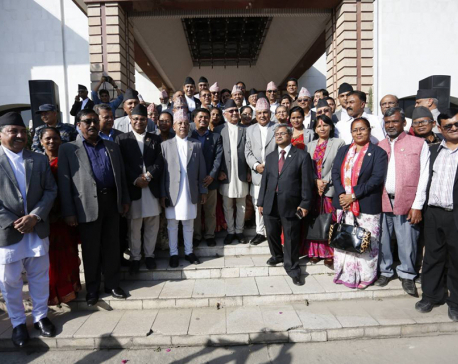 When asked about the priests who have already helped some families carry out the shorter version of the death rituals though, both Regmi and Dhital claim to personally not know of any. They also suggest that the ones who have been willing to discard the doctrine were probably motivated by monetary gain. As head of Kathmandu’s Nepal Purohit Sangh, Pandey is well aware of his fellow priests’ strong views on the issues. In fact, there are some who take it further. Tika Pandey, for instance, is a priest who is quick to get political. He cites his theories of people who don’t want to see Nepal as a Hindu country and are thus, keen on “ruining its traditions”. His opinions even go back to the days when members of the Maoists party were known to disrupt pujas in various villages to delegitimize the importance of priests and so on. “It’s certainly easy to get carried away,” says Purna Dhungel, another priest of the Purohit Sangh, who also works alongside Regmi and Dhital. However, he shares his experience. After working with so many families from across the generations, Dhungel apparently isn’t surprised that there are people who are petitioning to shorten the death ritual. Even though he states that he has no intention of going down that route. He also doesn’t believe that there is any point in trying to convince people to see a different point of view. Thus the debate about the last rite rituals seem poised to rage on. Pandey expects the discussions to go on for a long time. As representatives of the Hindu religion in the country, he wants them to find a way to accommodate the changing times as well as preserve the essence of his faith.